We can hear the groans at Footgolf Frenzy HQ about your organisation’s latest team building activity: please no more sprained ankles and bruises from paintballing; please no more monotonous training courses where the lunch is the highlight; please no more jollies at the casino when gambling really isn’t your thing. A team building activity faces a huge challenge: finding something which appeals to everyone. That’s where footgolf comes to the rescue! Engaged employees bring the business 2.5 times as much revenue as employees with a low level of engagement. That’s right – engaging your team will boost the bottom line. Knowing how to engage employees can be tricky. 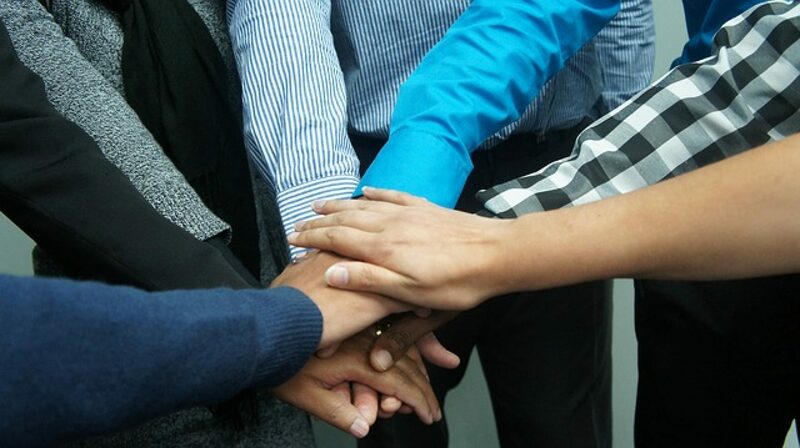 Team Building activities always chase a holy grail: to improve teamwork skills; improve inter-team communication; boost morale; build trust; mitigate conflict. All of these factors in turn improve productivity. Hence the holy grail is worth chasing. However, in practice it is extremely difficult to find a team-building activity which appeals to everyone. Teams thrive through having different characteristics and personalities in the mix, yet we’re seeking one activity to unite them all. Paintballing will be dreaded by those who are unfit, and not fans of competition. Evening activities tend to turn off those who’d rather be at home with their family, or don’t drink. Training courses can have the added benefit of some team-building on the side, but team-building shouldn’t be seen as the primary focus. 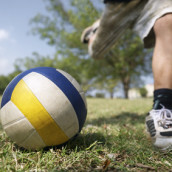 So what you need is a team building activity that is accessible to all, and appeals to all. Footgolf is your answer. 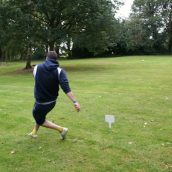 Chances are not many, if any, in your team will have tried Footgolf before. This puts everyone on an equal footing. There are no preconceived ideas to battle, and no reluctance to even get off the starting blocks. 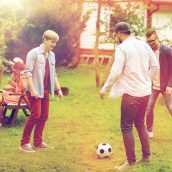 In fact, even if you have a Footgolfer in your midst, Footgolf is a unique sport in that you can play alongside people of any ability and experience, and everyone still has a good time. No one is going to be hammered and left behind, deflated, and feeling like they didn’t achieve anything except being the team laughing stock. Furthermore, Footgolf can be no more active than a walk in the park, unless you want it to be. Therefore, young, middle aged, and older employees, the fit, and the unfit, can all come together to enjoy an activity together. And whilst there is a certain competitive element, it’s not the absolute central focus. It’s friendly competition. It doesn’t require any specialist gear, and the rules can be grasped in moments. The brilliant news is that you almost certainly have a Footgolf course on your doorstep that you don’t yet know about. 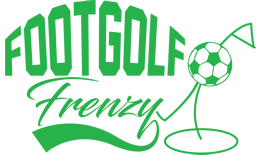 Footgolf courses are usually part of a golf course, or a pitch n’ putt. 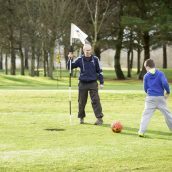 Simply use our Footgolf Search to find the courses nearest you or let us help you organise a group booking by contacting our Footgolf group booking team and getting booking.